Artist, educator, and pioneer, Ruby Roth, has changed the way many parents introduce a message of compassion for animals to their children. In her beautiful children's books, she illustrates for young readers why it's so important to protect and love animals. Kids possess a profound level of curiosity and intrigue for animals, so it's only natural that when children learn they are sometimes harmed, they ask "Why?" and what they can do to help the animals. Ruby's books are beautifully illustrated with powerful, insightful messages, and they are undoubtedly preparing our next generation of leaders who will help animals. Allison Rivers Samson: Your children's books are wildly popular. It's clear that you have such passion for children and animals. How did the idea to merge these two passions through writing first come about? And was it before or after you became a Mama yourself? Ruby Roth: I've always planned on being an artist, though I never got comfortable with art for art's sake—I couldn't do it. It felt so self-centered, I didn't want the spotlight on me. I was also always interested in social justice and politics. The two came together when I was teaching art at an elementary school and the kids wanted to know why I wasn't eating the cheese and milk they were served at recess. I tried to find a book I could share with them on the subject, but they were fictional, about talking animals or vegetables. The project idea came together and allowed me to do something with my art that I believed in...I became a step-mom later. ARS: Please share a little more about your books for those who might not be as familiar as I am. 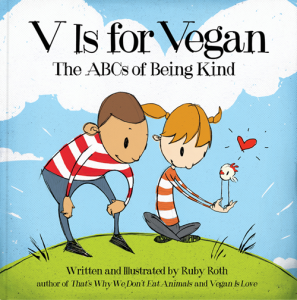 RR: That's Why We Don't Eat Animals, Vegan Is Love, and V Is for Vegan are the first non-fiction books of their kind in children's literature. They explore the emotional lives of animals, factory farming, the environment, and endangered species, as well as the many choices we can make to more whole-heartedly respect animals, our own bodies, and the planet. They've all ruffled some feathers, but they are definitely finding the kids they are meant for. ARS: Indeed, there was a bit of controversy. What happened and what was that like for you? How did you handle it? RR: The media and mainstream responded to my books as being “controversial” and “too scary” for kids. 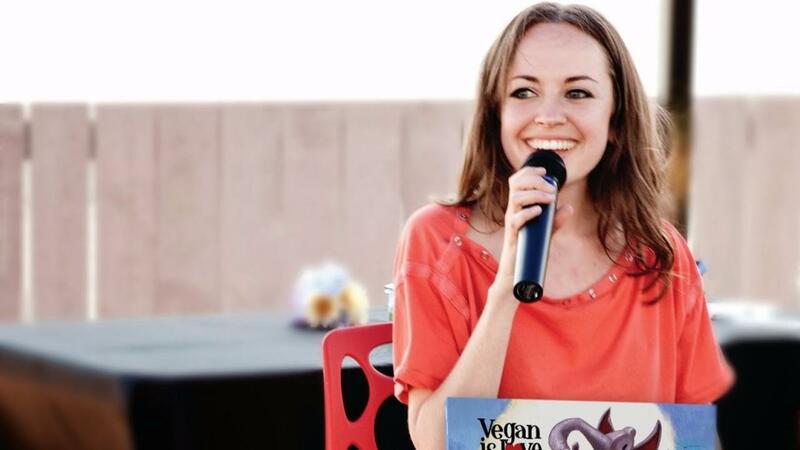 I combatted every concern with my personal positive experiences reading to hundreds of kids along with information about health, zoos, circuses, and the benefits of veganism. While I don’t think many of the concerns were smart ones, I was happy to answer any question, and grateful to relay the tenets of veganism to a large audience. I got lots of hate mail, but also a lot of supportive letters, even from non-vegans who were intrigued. ARS: What a resilient perspective! Our 7 year-old daughter loves your books. Have you had a chance to witness a child reading or listening to one of your books without knowing you were the author? How did they react to the messages? And have you noticed a difference if it was a vegan child or non-vegan? RR: I've never secretly witnessed a kid reading, but I hear great stories from many parents and teachers! My books seem to ignite an activism for the passion kids already have for animals and nature. They help with the vocabulary to express that love, and they spark a jillion questions that get kids thinking about their own opinions and values. Kids react very diplomatically when they learn about animal abuse or environmental destruction. They don't think of excuses to deny or displace blame, they say, "That's bad!" and they want to do something about it. ARS: How about parents and the general public? What responses have you received from them? RR: Veg parents are super happy to have a resource that gets them through some otherwise tough conversations. And even the veg parents who thought their kids would be upset by my books have been surprised at how their children react—with interest and insight instead of fear. The general public, however, is very skeptical about veganism for kids because they wrongly think of it as a "restrictive" diet, rather than an ethically-motivated lifestyle that could actually broaden the range of food a kid eats. ARS: Yes! 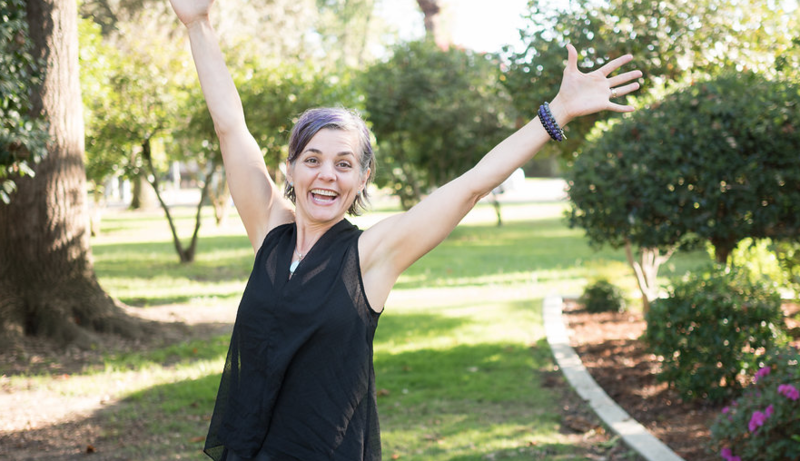 I often tell people that adopting a vegan lifestyle 18 years ago greatly expanded my food choices (and mindset!). Why do you think it is so important to teach kids about kindness toward animals at a young age? I believe it's never too early to start learning how our choices affect the public realm—animals, the environment, the marketplace, laws, and politics. Kids are already drawn to fellow animals. If we teach them how to maintain that love and extend it into the world via mindful, eco-friendly choices, we give them a kind of education that lasts a lifetime. ARS: As a mother to a compassionate 9-year-old, do you have any tips to share with other vegan parents? 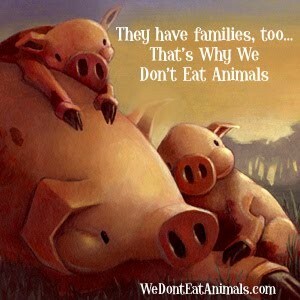 RR: Include your kids in conversations about what you, yourself, are learning about food, health, and animals. Don't think that it's too complicated or scary for them to understand—they are more capable than you know! Kids love to be let in on secrets; treat the discussion like you're giving them information no one knows—in many ways, you are! Normalizing veganism at home, and making sure your kids fully understand what's at stake when we eat animals, gives them a solid foundation of confidence to maintain their eating habits out in the world. If they're still wanting to partake in cake and ice cream at someone else's party, then you have some more sharing to do. Be patient and consistent yourself. ARS: You are so right. It's amazing how clearly children see before they are manipulated by the culture's ideas of "normal," it's important that we make living compassion the new normal. Lastly Ruby, do you have more projects or books in the works you'd be willing to share with us? RR: My current project, which I am so excited about, is still top secret! But it'll be something that vegan kids can share with their non-vegan friends and still relay the compassionate message. Stay tuned! In the meantime, I invite people to join my bi-monthly-ish newsletter at WeDontEatAnimals.com, in which I discuss "the practice and philosophy of a conscious, engaged life." It's a great community of support.